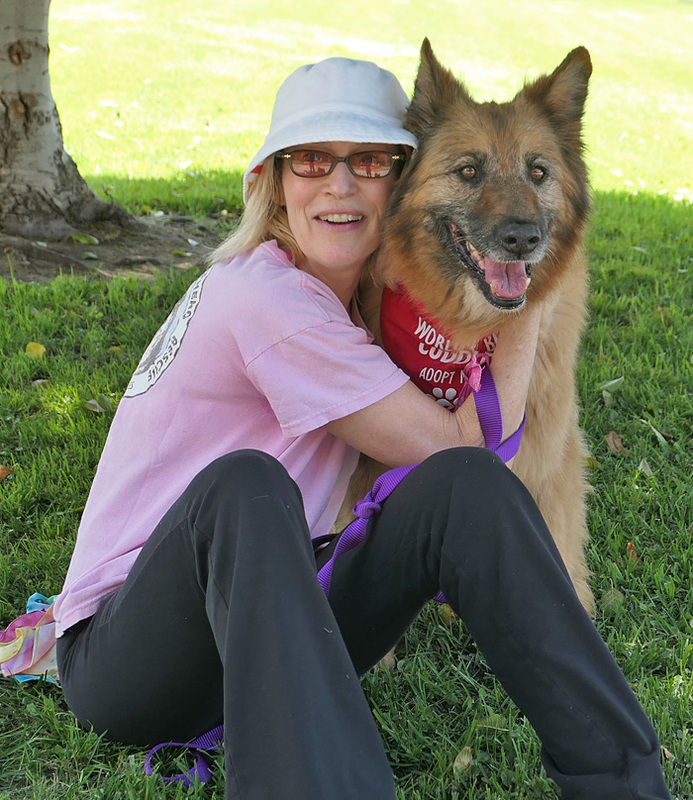 Scarlet von Scheer is a gorgeous 6 year old coated German Shepherd. Scarlet in just two words: Dream Girl. With a very sweet and easygoing nature, this pretty girl is friendly, social, playful, and comfortable in new situations. Possibly housebroken and a model walker on leash, she is is very happy to be out and about. She meets other dogs very well and is especially fond of affection from people. Sweet Scarlet loves hanging with dogs in playgroup and gets along with everyone. Her favorite things include lots of pats and playtime. Her dislikes: cats. This sweet, fluffy, wonderful lady is ready to travel in or out of California for her forever home.